1. What were the names of the two brothers? 2. Why was Jacob making the long journey? a) He had wronged his brother Esau and deceived his father. b) He had killed his brother. c) He wanted to visit some friends. 3. What was Jacob afraid of as he hurried along the lonely mountain path? a) He was afraid of the dark. b) He was afraid of a storm coming. c) He was afraid of wild animals and robbers who might be waiting for him. 4. Where did Jacob spend the night? a) In a wide valley covered with large stones. 5. What did he use for a pillow? 6. What did he dream about when he fell asleep? 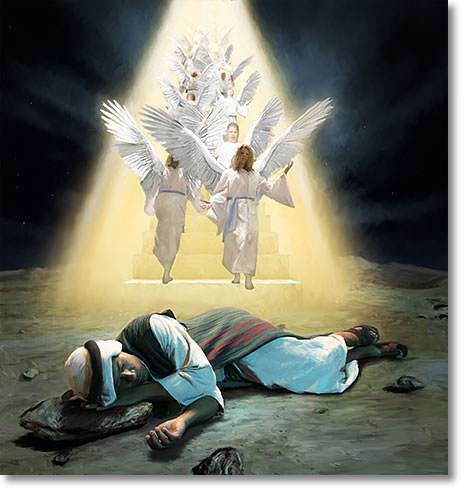 a) He saw a ladder with angels going up and down, and God was speaking to him. c) How he had wronged Esau and his father. 7. In the dream, what did God promise Jacob? a) God promised to give him this land, to guard him and bring him back safely to this land, and never to leave him. b) God promised to give him food for his journey. 8. As Jacob took the stone, which he had used as a pillow, and set it up as a memorial, what promise did he make? a) That he would always save that stone. 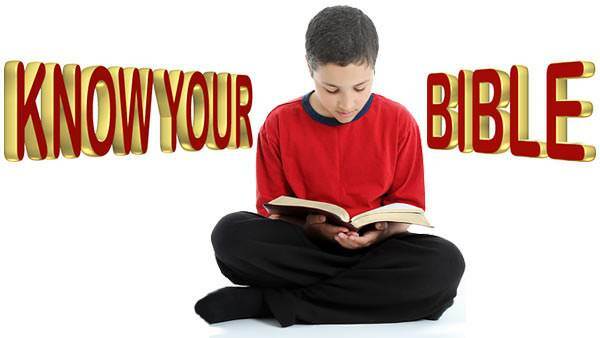 b) That he would always worship God and obey His laws. 9. Do you believe that God watches over you wherever you are?